David and I have been attending craft shows since the'70's and we have a system. We arrive at the start of a day, go to the back and work our way forward. Especially at a show that can be as crowded as this one - you can avoid the throngs of other collectors. We take a program and circle the booths that have things that catch our eye. We quickly peruse the entire show. Yes, we are experienced and we have seen the work of many of these craftsman for years. We then go get a cup of coffee and discuss what we still remember, what stood out so much that it is still fresh in our minds. From that we build our "To Buy" list - that combined with a look at our budget. Then we go and buy! Yesterday we bought more than we planned, and are excited by all of it. Today, I photographed some of it to share with you. Tiny, precious and beautifully crafted. The shape is stunning. 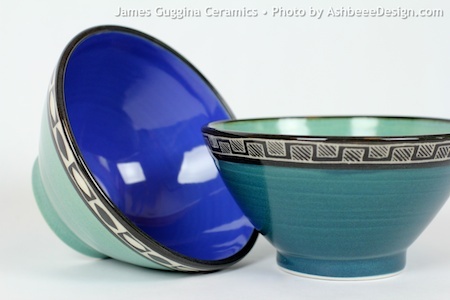 Ice Cream bowls by James Guggina Ceramics of Florence, MA. 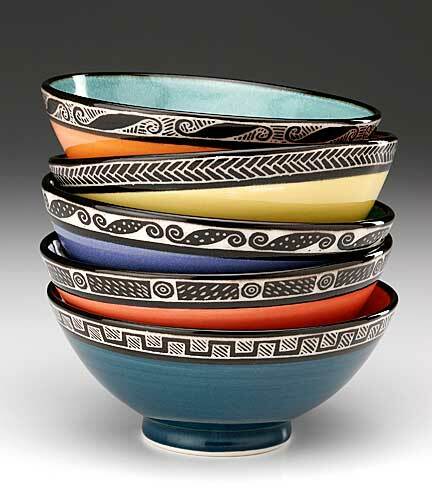 Yes, I have a thing for bowls. 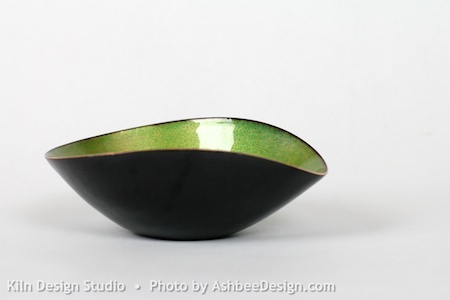 I have many handcrafted bowls - copper, ceramics, wood. Yet I always fall in love with more. Many are purely decorative but these will be functional. And they come in so many glorious colors. I can see a growing collection of these. The two above came home with us, but check out some of the variety below. 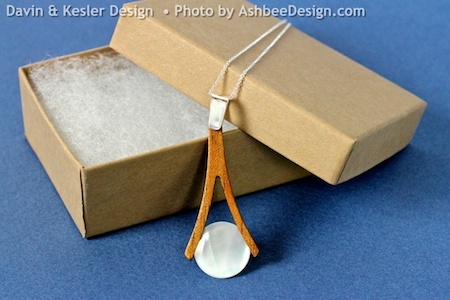 A Wood and Mother of Pearl Necklace by Davin & Kesler of Exeter, RI. They have a line of wood & something jewelry with a clean design element. I purchased a pendant made from Hawaiian Koa and Mother of Pearl. Last year I bought a necklace for my mother-in-law from this same team out of wood and silver. We also purchased a birthday gift at this booth but I don't want to spoil the surprise for the recipient. 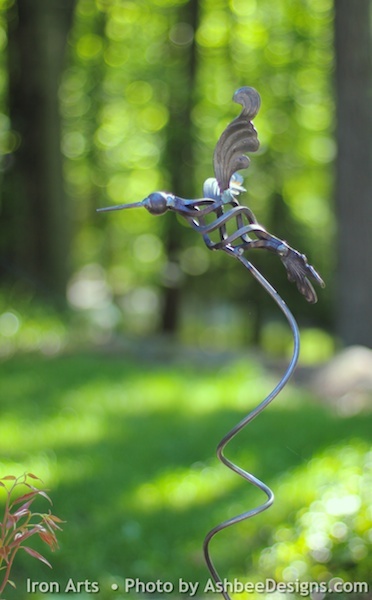 And then, for the garden...... Two pieces from James Takaki of Iron Arts Studio. Our home is a showcase for the crafts we have been collecting for years. It has reached the point where adding more means removing something, except outdoors. We have 26 acres of space to fill there! 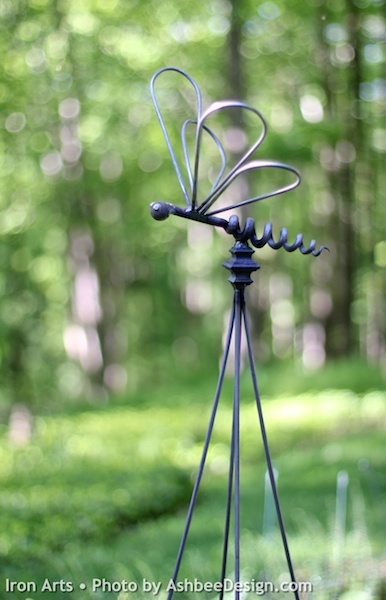 We purchased a dragonfly and hummingbird in iron to grace the garden! Our last purchase didn't come home with us. Jon will be framing it and sending it on. I have seen the photographic work of Jon Olsen at gallery shows but this is the first time I've seen him at a craft show. He does amazing photographic work with a minimal approach to the New England landscape. We general don't buy much wall art (because of David's sculptures) but occasionally something makes us change our mind. We just loved this winterscape of a Vermont hillside. All-in-all a very wonderful day for collecting. Don't miss the next Paradise City Art Festival. Do you have a noteworthy craft show in your neck of the woods? David and I are planning the "Great American Road Trip" and are looking for terrific shows between Connecticut and California during September and October. Know of one? If so let me know.